Should I Get A Truck Accident Lawyer? Let’s face it: Accident liability can be complicated. Especially when there are truck driver’s and a driver of another vehicle involved – or even a pedestrian, motorcyclist, or bicyclist involved – then it can quickly become one huge mess. 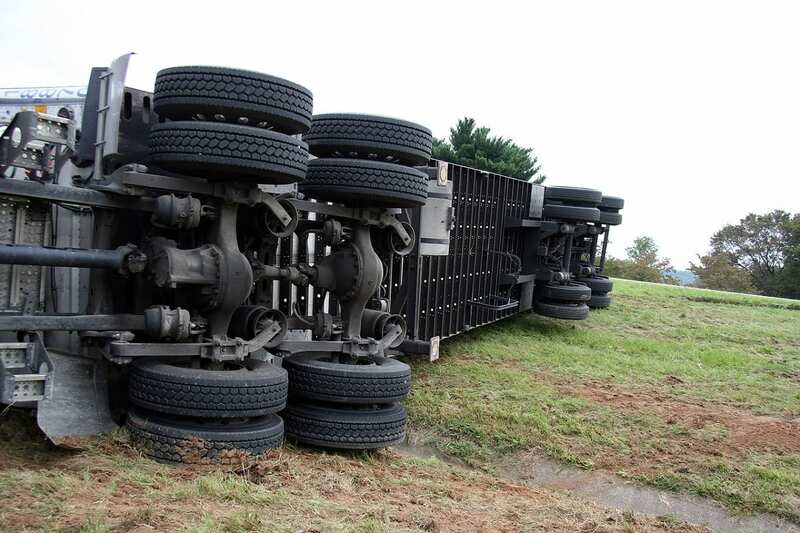 The good news is that in most cases, a truck accident lawyer can help navigate you through these sticky situations. So whether you’re with a Fortune 500 trucking company, a business with transportation components, a broker, or a business with trucking components, please read on carefully to see if and when you should be covered by a truck accident lawyer. What might not be so obvious are the recent statistics which report approximately 5,000 deaths, 100,000 injuries, and 500,000 trucking accidents every year. In fact, large vehicle accidents often result in catastrophic personal injuries, or even wrongful death… which leads to major litigation. So if you currently represent a trucking company and/or truck driver(s), then you should pay careful attention to this entire section. Or, if you’re a driver in the trucking industry and have already been directly involved in a trucking accident, then it may be wise to consider getting a truck accident lawyer very soon. A truck accident lawyer can serve you well because these accident scenes can – and do – change within hours… and sometimes, they change in minutes. And since the preservation and immediate documentation of the on-scene evidence is vital, a good truck accident lawyer can direct all the necessary experts and investigators immediately to the scene. However, there is one unavoidable thing to remember at this point: after an accident has already occurred, certain parties will be entitled to compensation… and yes – even those parties who are partially at fault could be entitled as well! That’s because the comparative negligence theory (which many states follow) can still give any involved party the ability to sue for the accident. Before that takes place, parties involved will often get “hung up” up during the process of wanting to sue one another. That’s because many people who are involved in trucking accidents usually don’t know exactly who all of the potentially responsible parties are. This is another instance where a truck accident lawyer will come into play because they can help locate and identify all potential parties involved. This can help lead to a suitable resolution much faster. Another key reason to consider a truck accident lawyer is that they will handle all the “legal stuff” when it comes to claims, settlements, and more. For several months (or even years) down the road, they will handle settlement negotiations, appeals, and court proceedings. Plus, it will only work in your favor when you have attorneys on your side who have a solid working knowledge of the federal motor carrier safety regulations, and the critical role they play in these kinds of claims. When it comes to getting a truck accident lawyer on your side, an obvious thing to look for are attorneys who thoroughly understand the trucking and transportation industry. They should also be well aware of the challenges facing the defense in truck accident litigation. You’ll want to see whether or not they are experienced with a range of clients who have faced potential liabilities in serious truck accidents. This can include motor carriers, owner-operators, truck drivers, brokers, and trailer owners or lessees. A reason for this is that you want to be assured your truck accident lawyer will aggressively set out to protect your interests, because it’s crucial for trucking companies and carriers to be defended both aggressively, and successfully. A good truck accident lawyer should also help you understand how and why a single trucking accident can expose a transportation company (and its insurer) to significant liability. With that said, a wise move would be to select an attorney who has exceptional trial skills, on top of having extensive knowledge of both federal and safety regulations. Getting an attorney who has immediate access to a network of trusted experts will also work out in your favor, because these experts can be brought in to further strengthen your defense strategies. If you can, see if your attorney also has extensive and direct experience in high-stakes transportation industry accidents. If so, they are more likely to provide you with better assessments of the strengths and weaknesses of your case. This way, it’s more likely they’ll keep you well informed during each step of the process, and will be better able to evaluate the different options presented to you. There isn’t a solid number or equation we can give you when it comes figuring out how long a trucking accident lawsuit will take. Depending on the unique circumstances of the case, it can take a few months, a year, or more. This is mostly due to negotiations, investigations, trials, and things of that nature. The first step in a trucking accident lawsuit is the investigation. This is where an experienced lawyer – along with their established network of experts – can help to immediately conduct a thorough investigation for you, and preserve any critical evidence. 2. Lawsuit filing and discovery. Once an official lawsuit has been filed, an attorney can begin the discovery process. This is where they will gather interrogations, depositions, and where they will consult experts and witnesses to help gather useful information. This is the step which takes place outside of court. A neutral third party will conduct a meeting between both parties, as well as lawyers, and keep them in separate rooms. A goal of this step is to try and reach a settlement. If a settlement is not reached, then a trial date will be set. At this point, it’s crucial to remember that several parties may be responsible for a trucking accident. However, the finger will often be pointed at the truck driver and trucking company. This can put you – and other parties, such as truck manufacturers – at risk for a civil lawsuit. What About The Insurance Companies? Insurance companies face significant exposure in truck litigation matters, especially because truck insurance policies have high limits. Of course, plaintiff’s attorneys already know this, so they are quick to seek out maximum damages in any case involving a commercial vehicle. Often, this can amount to millions of dollars. Overall, it’s wise for trucking companies (and their insurance companies) to hire defense lawyers to protect their best interests. In the end, the goal is to give the highest chance of success in lawsuits. Large trucks must follow a variety of state and federal regulations. These regulations usually govern the number of hours they can drive, how to secure certain cargo they are transporting, and more. However, this usually isn’t enough. Truck drivers must do their part and must stay aware of the responsibility and potential hazards they face on the job. There are the normal dangers of the road, as well as other distracted drivers, speeding, long work shifts, and fatigue. Also, the truck itself can create a major danger to other drivers. The vehicle is much larger than others, and could potentially result in catastrophic injuries. These are just a few reasons why accidents involving commercial trucks involve a very different set of rules than a typical automobile accident. Most of the time, the plaintiff and their attorneys will seek to litigate a truck accident to the fullest extent. This usually results in extensive, thorough, and expensive “fact-finding” missions, where the plaintiff’s attorney will usually seek out millions of dollars in compensation. It’s also important to note that allegations against truck driver and trucking company negligence vary widely. Cases involve different scenarios, ranging from claims that the truck drivers were speeding, claims they violated hours of services regulations and were too fatigued to drive, claims of truck drivers abusing alcohol, truck drivers abusing drugs, and more. In the end, it’s best to have the peace of mind in knowing a truck accident lawyer is backing your best interest. This is especially true when it comes to defending against lawsuits and claims against catastrophic injury, personal industry, wrongful death, property loss, and more. It’s even better when your defense lawyer has access to an established network of medical experts and accident re-constructionists to help you in the investigation, evaluation, and the defense of liability claims. Bremer Whyte has extensive experience defending several large Fortune 500 trucking companies as well as for businesses with trucking and/or transportation components. Our experience navigating the various State and Federal DOT requirements give us a distinct advantage handling catastrophic injury matters throughout the western United States.